In 2009 Atlanta declared four neighborhoods within the city as zero waste zones. The effort’s goals include helping local businesses find ways to reduce trash, create jobs, save money and educate others about the advantages of zero waste. In addition to reducing consumption, raising recycling rates, and establishing new resources for composting, Atlanta businesses and individuals must focus heavily on increasing reuse to meet their ambitious goals. They are lucky to have four growing reuse organizations that are assisting with this effort by diverting items from landfills and changing public opinion about waste. The Institute for Local Self-Reliance, which provides resources and information to support environmentally sound and equitable community development; and the Cascade Alliance, which helps nonprofits across the country turn discarded goods into stable revenue streams and high-quality jobs, are assisting this process. Lifecycle Building Center is one of a handful of Atlanta nonprofits recovering valuable building materials from the waste stream. Adam Deck, a longtime employee at the Habitat for Humanity ReStore in Raleigh, NC, wrote Lifecycle Building Center’s original business plan because he wanted to bring a building materials reuse organization to his hometown of Atlanta. Architect Shannon Goodman, who serves as the organization’s executive director, joined him after struggling to find a home for high-quality goods coming out of a demolition project she was involved in. “It was really obvious that there was a huge opportunity to reuse commercial building materials,” she says. “There was so much great material but there was not an effective system in place to make it available to people.” Together, she and Deck set up Lifecycle Building Center and started accepting donations from private businesses, government entities, educational institutions and individual homeowners. Goods go into a 70,000-square-foot warehouse, where they are sold to the general public or donated to local nonprofits. “Our higher goal is to engage with homeowners and provide them access to resources to help make their homes function more efficiently,” Goodman says. Most low- to moderate-income homeowners can’t afford to pay for assessments that identify energy efficiency upgrades. Even if they can, they can’t pay a contractor to make the changes. Lifecycle Building Center offers classes that teach people about the basics of home performance and provide tips for solving common problems. For example, she says, in the first class they discuss how to examine ductwork to make sure it’s properly sealed and how to fix it if it’s not. If the homeowner needs supplies to make those repairs, they can likely find them at the center. In three short years Lifecycle Building Center has diverted 760,000 pounds of material from the waste stream, donated goods to about 35 nonprofits and schools, and created eight jobs. They recently set some aggressive goals to do even more. One major part of their future work plan is moving into the field of deconstruction. Trained professionals would go into buildings and take them apart piece by piece. This process leads to much higher rates of salvage than typical demolition projects and would yield more donations for the program. Founded in 1988, the Furniture Bank of Metro Atlanta started with a mission of getting furniture to families in need. For years they’ve operated a pick-up service to collect donated household goods from local residents. Those items were then distributed to families who couldn’t afford to purchase them. Right now the Furniture Bank serves about 1,300 households every year. The need for more staff, as well as an expanded view of how they could meet their mission, is leading the Furniture Bank down a path toward doing more with reuse and recycling. Investing in waste-based business will allow the organization to earn more of its own revenue and provide job-training opportunities for low-income residents. Reed Irvine, facilities and logistics manager for the Furniture Bank, says they started their foray into social enterprise by up cycling headboards and footboards into stylish benches. 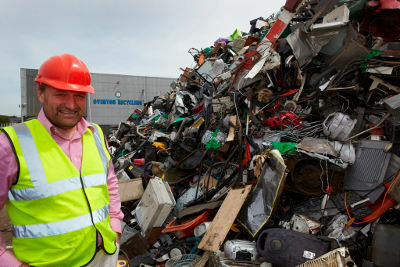 They plan to start taking appliances for the scrap metal value, and are now recycling non-reusable plastic and wood products rather than throwing them away. Irvine is also planning to start a mattress recycling program. Following the model of other successful nonprofit mattress recyclers around the country, the Furniture Bank would gather mattresses and assess them for reuse or recycling. Some of the mattresses would be good enough to share with the low-income families they serve. Others could be rebuilt using a sanitary process. The rest would be deconstructed by hand. Commodities such as steel and polyurethane foam would be recycled. Right now, Irvine says, the Furniture Bank receives about 15,000 mattresses annually. The goal is to get to 40,000 mattresses during the first year of the recycling program. That would represent a big increase in the 1,500 tons of furniture they divert from the waste stream every year. Support for the mattress recycling program and many of the Furniture Bank’s other initiatives comes from the Cascade Alliance, a new organization that helps nonprofits start successfully waste-based businesses. The Alliance is led by St. Vincent de Paul of Lane County, which has over 50 years of experience turning second-hand goods into jobs and profits to support its charitable mission. The Furniture Bank is one of ten organizations receiving free consulting, sample business plans, best practices in reuse and recycling, and networking opportunities with similar social enterprises nationwide. The Furniture Bank employs six people, but Irvine envisions growing that number to between 15 and 20 in the coming years. Many of those employees would come from the low-income south Atlanta neighborhood where the Furniture Bank is located. Other potential staffers could come from the Veteran Employment Program, a United Way-sponsored program that provides job training to veterans. The Furniture Bank currently has about a dozen veterans on their site at any given time. During the eight to 12 week program, these temporary employees help organize the warehouse, pick up donations, build the up cycled benches, and do other tasks. They receive job skills such as driving a forklift, and the agency gets help serving people in the community. The City of Refuge (COR) was founded in 1970 to provide hope and assistance to residents of challenged neighborhoods in the middle of Atlanta. COR serves over 10,000 people annually from its eight-acre campus, including short-term transitional housing for up to 320 women and children. COR also hosts a 6th to 12th grade academy for students from at-risk communities, day care, library, sports and recreation activities and kitchen facilities. In cooperation with Mercy Care Services, COR offers a full complement of medical, dental and mental health services. 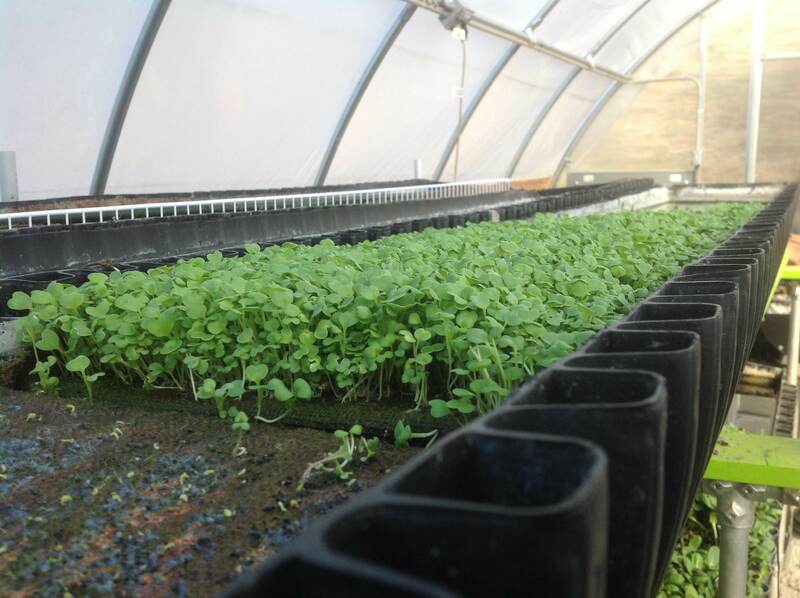 In 2012 COR and Bioponica, a local aquaponic design-build company, worked together to install onsite a first-of-its-kind sustainable farming system. 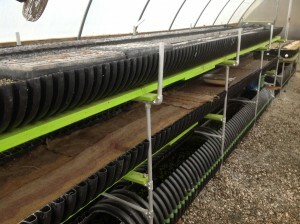 The grow unit was funded by Kaiser Health Foundation of Georgia, is a 20’ x 36’ square foot greenhouse, with two to three grow beds and fish tanks to raise organic vegetables simultaneously, utilizing “bioponics” a process of nutrient cycling that Bioponica have pioneered. 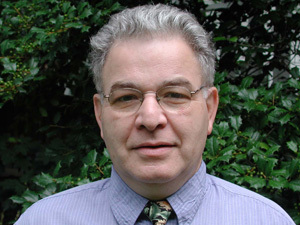 David Epstein, D.O. and Kenneth Lowell, P.E. founded Biponica in 2010 with the goal “to make farming, gardening and the harvest of organic food, simple and sustainable.” The system became operational in June 2013. Bioponica installed its first operating units at the Atlanta City Park Outdoor Activity Center (Department of Parks and Recreation) in July of 2011, as demonstration. 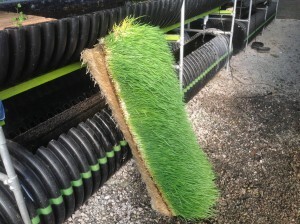 Bioponica has refined their process of recycling nutrients to create fertilizer and fish with no cost and little labor, while recycling loads of pre-consumer food discards and lawn clippings. T he COR-Bioponica project of waste recycling to support organic plants and fish gives COR great flexibility in achieving self-reliance in high quality and cost effective food production while residents can be trained in greenhouse management and horticulture. In addition to supplementing food imports to prepare 20,000 meals per month, the produce, including herbs, tilapia, crawfish and a garden variety of fresh fruit and vegetables, reaches the surrounding community via COR’s food truck service. The greenhouse and Biogarden grow beds are owned by City of Refuge and operated by Bioponica. Bioponica provides ongoing technical assistance, service and upgrade technology and management and worker training. Charitable Connections, which runs the new building materials, reuse organization Reclaim It Atlanta, got into the business by accident. Charitable Connections is a community foundation that focuses on leadership development. They were working on a neighborhood revitalization project and started receiving a lot of donated construction materials they couldn’t use in the homes they were remodeling, explains Reclaim It Atlanta co-founder Michelle Uchiyama. Employees and friends stored the items, but eventually they had far more than they could keep in people’s basements and garages. They were able to secure some donated warehouse space, and someone suggested they post the materials they couldn’t use on Craigslist to raise money. “People started overwhelming us with interest in what we were doing,” Uchiyama says. In partnership with the Fuller Center for Housing of Greater Atlanta, Charitable Connections decided to open the warehouse to the public a couple days a week so people could come and shop. Within 18 months they had formalized the program as Reclaim It Atlanta and moved to a 14,000 square feet warehouse. They also started opening the resale shop every day of the week. Opportunities to offer more services in Atlanta continue to present themselves. In January 2014 Reclaim It Atlanta deconstructed 280 hotel rooms that were being turned into apartments. The process took six weeks and yielded tons of good quality building materials, carpet, furniture, even curtains. “We blessed about 40 different homeless organizations with materials they wouldn’t have been able to buy,” Uchiyama says. That experience “started us on a whole different track of doing deconstruction.” Reclaim It Atlanta believes it’s important to create jobs for people rather than using volunteers, so they hire contract labor to do the deconstruction. Up to 20 people are employed when they have work available. They join a shoestring permanent staff of three part-time employees. The program doesn’t show signs of slowing down anytime soon. Their most recent venture is the Elf Shop, with the motto: “Find the elf in yourself: Where Christmas is all year-round.” The store will provide reusable goods to local artists. “We believe the market for up cycled art materials is greater than the need for building materials right now,” Uchiyama says. It also compliments the work of a new program called the Green Shape Foundation, which provides a combination of art therapy and wraparound services for residents living in local subsidized housing complexes. In addition to helping people make nice things for their homes, the program aims to inspire people to make products for resale and earn money for their families. This article was written by Sophia McDonald Bennett for ILSR’s Waste to Wealth Initiative. Ms. Bennett is an environmental writer based in Eugene, OR. She is a reuse expert and worked for many years at one of the nation’s premier reuse enterprise development agency, St. Vincent de Paul of Lane County. ILSR prepared a Zero Waste Plan for the City of Atlanta, Office of Sustainability in 2010-11.